Undersheriff Jonathan Parham resides in Rahway with his wife, Ebony, and his two sons Joshua (22) and Jordan (21). He grew up in Linden and graduated from Linden High School in 1987. The Undersheriff attended the American Military University in Charles Town, West Virginia and Richard Stockton College of New Jersey in Galloway, NJ. He is a graduate from the prestigious West Point Command & Leadership Academy and he is also the recipient of numerous honors and awards including: a Union County Board of Chosen Freeholders Resolution, a Letter of Commendation from the Federal Bureau of Investigation, a Letter of Commendation from the Union County Prosecutor’s Office, a Community Service Award from Acacia Lodge #23, a Service Award from COP 2 COP, and a Service Award from the National Alliance on Mental Illness (NAMI). Jon served the city of Linden with distinction for nearly 25 years, serving in each rank from Officer to Captain before his promotion to Chief of Police on September 1, 2016. 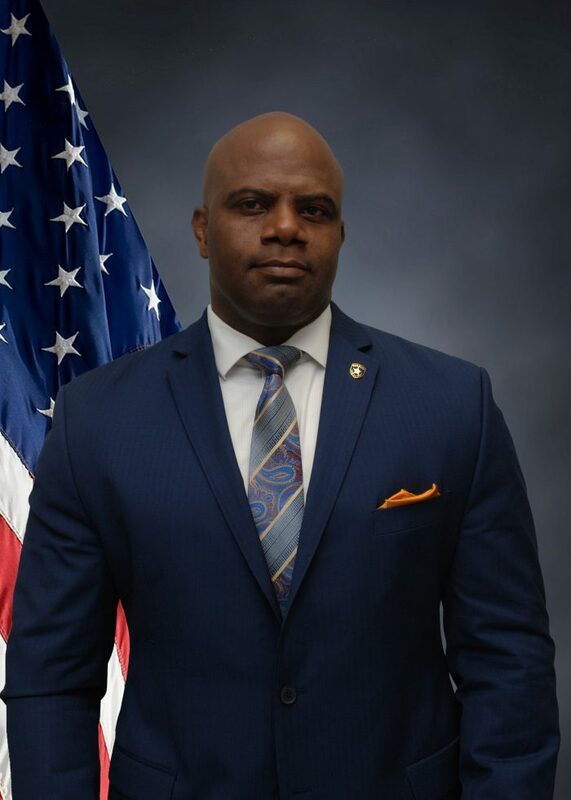 As Chief, Parham provided leadership as well as technological and operational innovations for a nearly 200 employee police department. 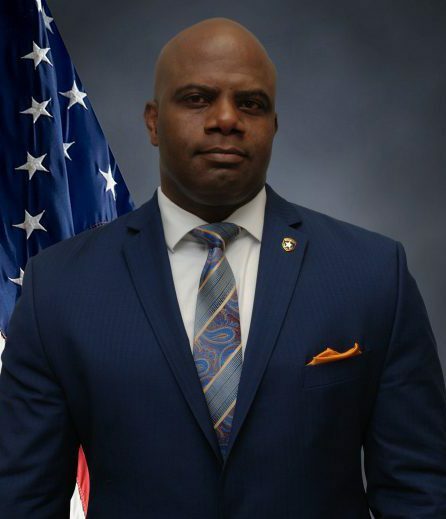 He also served as a Detective for the Union County Prosecutor’s Office where he was assigned as the lead Physical Training Instructor at the John H. Stamler Police Academy from 1996 – 1998. The Undersheriff will oversee the Administration Services Division, which includes the Legal Process Unit, Training Unit, Administrative/Payroll Unit, and the Office of Professional Standards. In his spare time, he enjoys spending time with his family and reading.